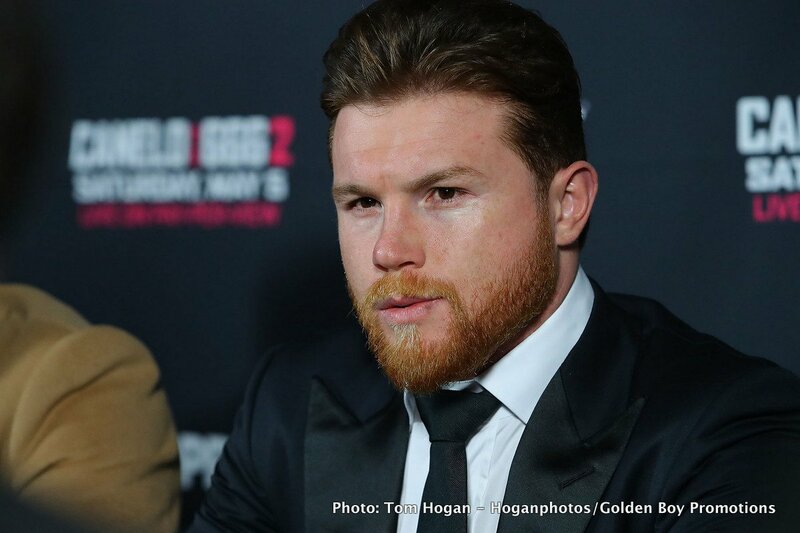 Canelo Alvarez tests positive for a banned substance yet cries innocence; but should the May 5 rematch with GGG go ahead? Fight fans have all heard the news by now: Mexican superstar Saul Canelo Alvarez has tested positive for an illegal substance – traces of Clenbuterol being found in Canelo’s sample, the Mexican fighter having been tested pre-fight by VADA. The boxing world is in shock over this development, even if Canelo and Golden Boy state unequivocally how no cheating took place, that the Clenbuterol came from his eating infected meat in Mexico. As of right now, the huge Canelo-Gennady Golovkin rematch, set for Las Vegas on May 5, is still on. But should it be? Many fans are saying that, if no punishment – such as a suspension and a hefty fine – is administered to a fighter who tests positive for an illegal substance, then why even bother going through all the time and trouble in testing fighters in the first place? Victor Conte, a famous figure in the well-documented BALCO scandal, had some interesting points to make as he spoke with The Las Vegas Review-Journal. As Conte says, we are stuck: it is impossible to prove whether Canelo cheated or didn’t cheat. A number of other athletes have recently tested positive for Clenbuterol in Mexico, they also having eaten contaminated meat, and Canelo insists he has done nothing wrong. But the bottom line is, he HAS failed a pre-fight drugs test. As a result, he should be – he simply HAS TO BE – punished, right? Otherwise, and again; what’s the point in having drugs tests? Suppose the fight goes on as scheduled and Canelo looks like a different fighter; a faster, stronger and far, far fitter fighter with greater stamina. Would we put this down to a great training camp and nothing more, or would fans be unable to avoid being highly suspicious; would they find themselves thinking back to today, March 6 – the day yet another high-profile fighter tested positive for an illegal substance? Let’s hear what world middleweight champ Triple-G and his team have to say on these unpleasant matters. You are here: Home / Boxing News / Canelo Alvarez tests positive for a banned substance yet cries innocence; but should the May 5 rematch with GGG go ahead?